What Makes Good Customer Support Software? 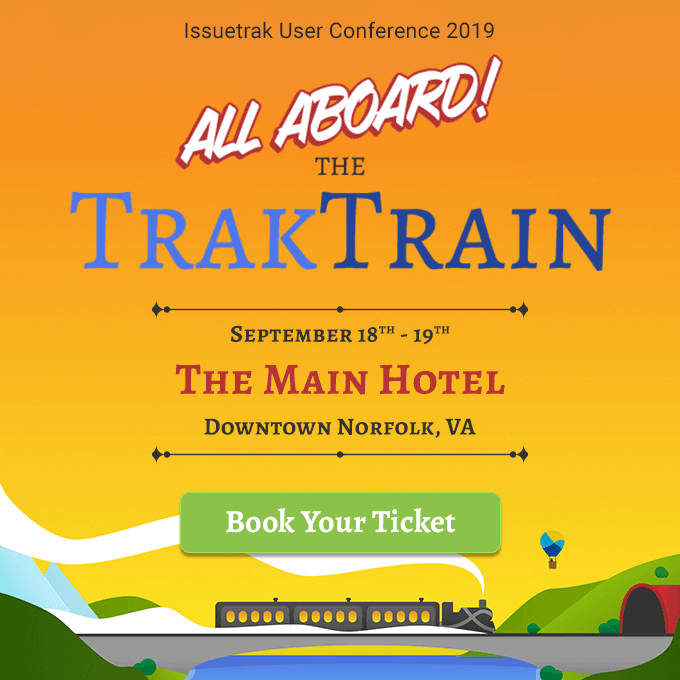 Announcing the 2019 Issuetrak User Conference! Change Management vs. Change Control: What's the Difference? Cloud vs. On-Premises Hosting: Which Is Best for Your Needs? What Makes Effective Hospital Incident Reporting Software? How Can Issuetrak Help with Case Management? What Is Case Management and Why Do You Need Software? What Problems Does Business Process Management Solve? Does Your Vendor Have Your Back? What Problems Can You Expect With a Free Issue Tracking Solution? Will Your Financial Services Institution Stand Up to an Audit? Are Universities Keeping Up with Title IX Changes? Are You Listening to Your Customers or Burying Your Head in the Sand? Are Untracked Issues Hurting Your Bottom Line? Are Untracked Issues Hurting Your Brand's Reputation? Is Your Workload Stressing You Out? Is Missing Information Halting Your Productivity? Build It or Buy It - What’s the Best Choice? Are Your Business Issues Lingering Too Long? What financial impact can untracked issues have on your business? What are Email Tokens and Why Would You Use Them? What is Workflow Management and How Can Software Help? How Can Issuetrak Help You with Complaint Management? What Is Complaint Management and Why Do You Need It? Traktip: Issuetrak Report or Query? Add A Sidebar!